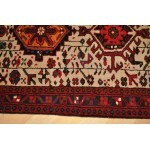 A Heriz Rug is a type of Persian rug from the area of Heris in northwest Persia northeast of Tabriz. 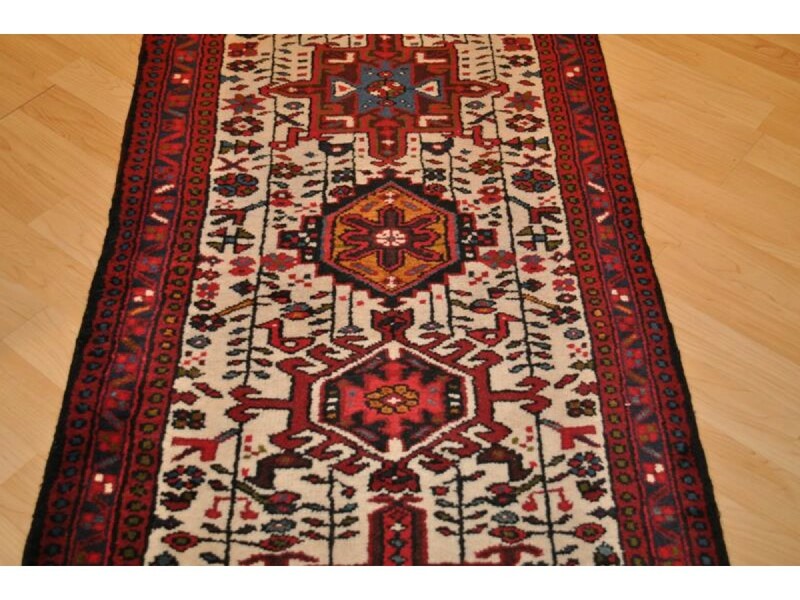 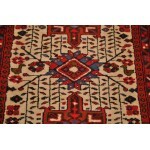 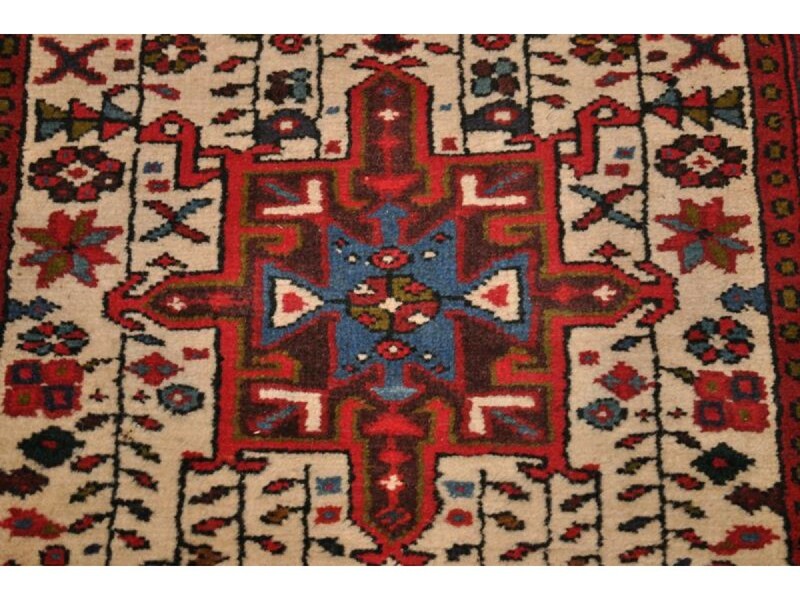 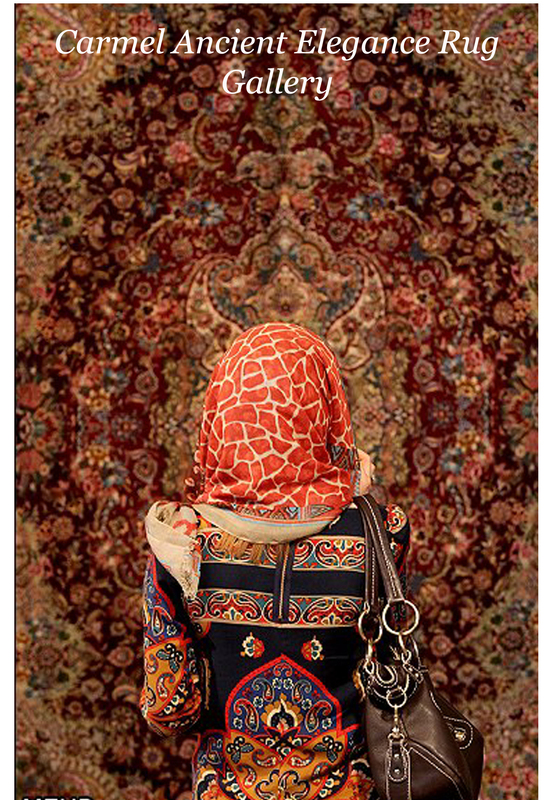 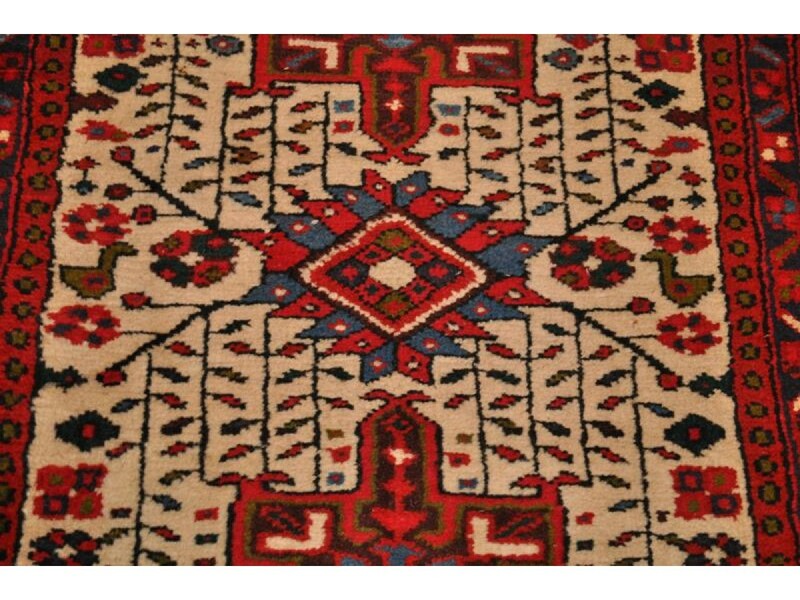 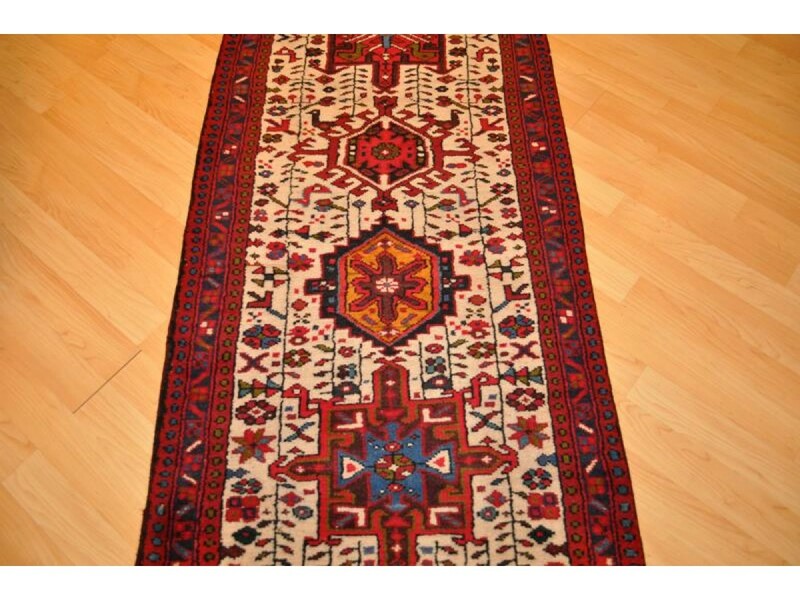 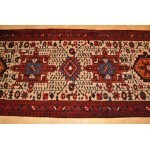 The Heris Rug is produced in the villages of the slopes of Mount Sabalan. 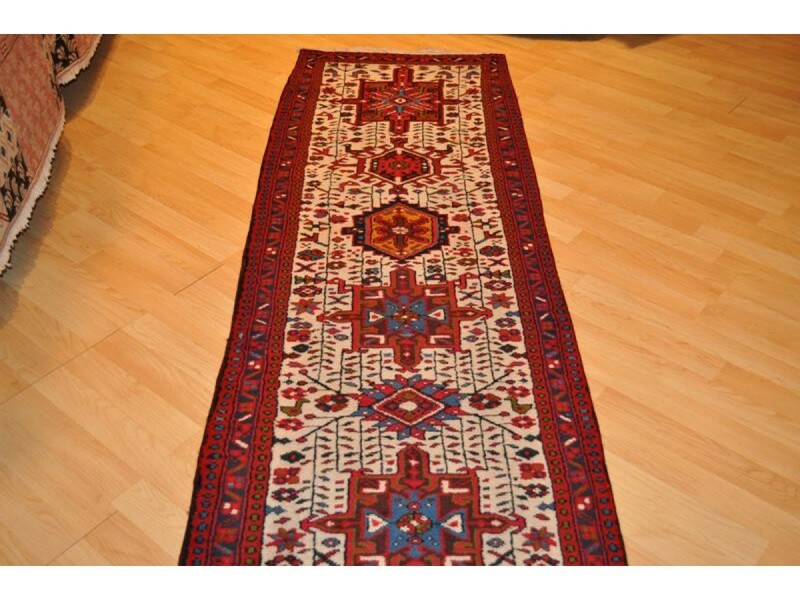 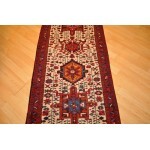 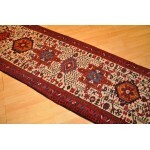 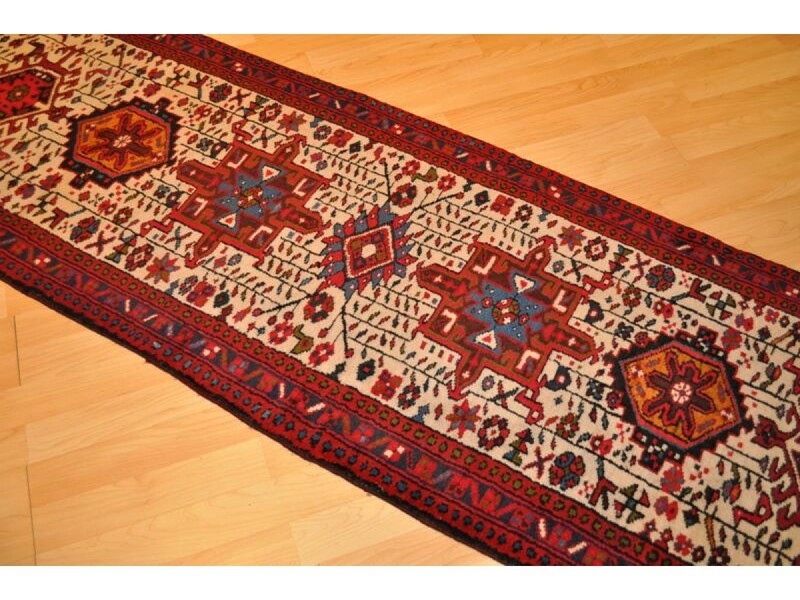 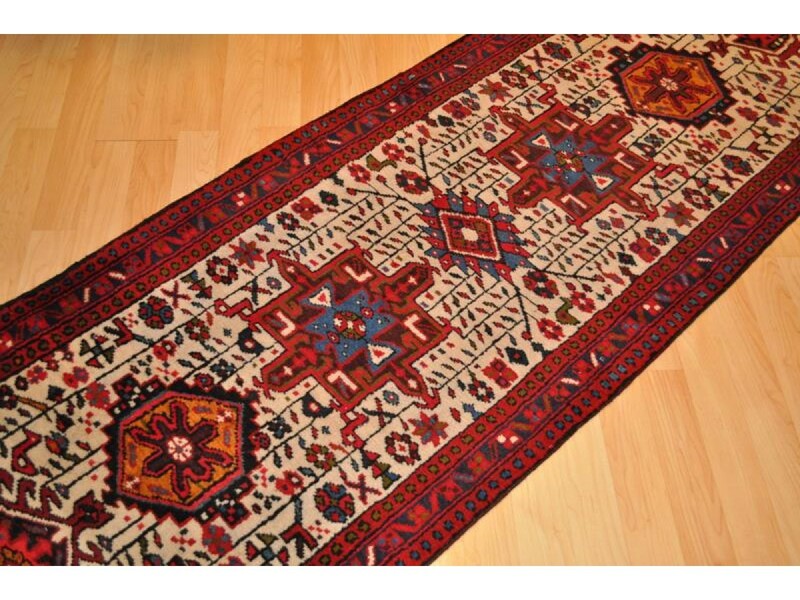 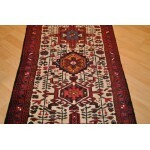 It is an extremely durable hard-wearing rug and the Heris rug has now passed the Bijar rug as the Iron Rug of Persia. 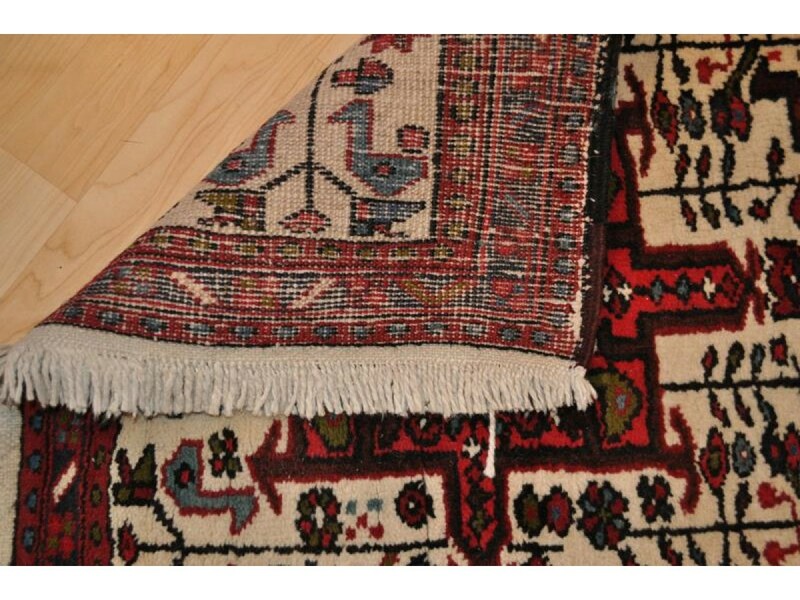 Heris are thick, tough, and often inexpensive rugs that appeal strongly to the US market. 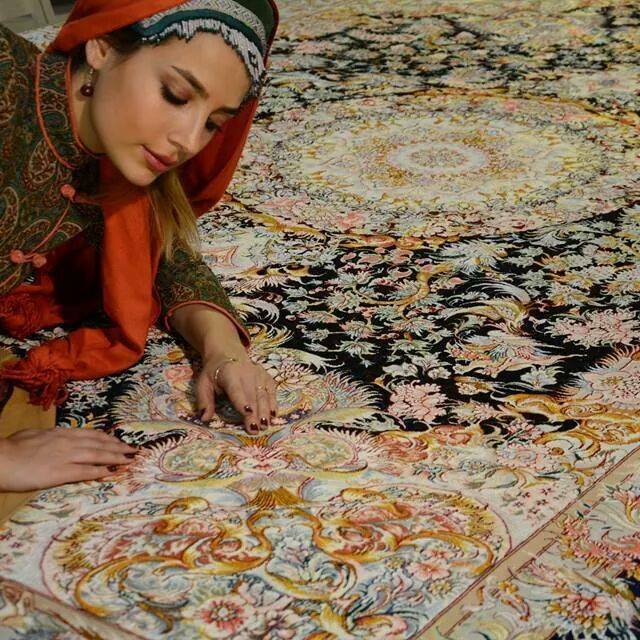 Part of the reason for the toughness of Heris carpets is that Mount Sabalan is sitting on a major deposit of Copper. 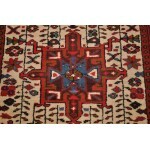 Trace copper in the drinking water of the sheep produces high quality wool. 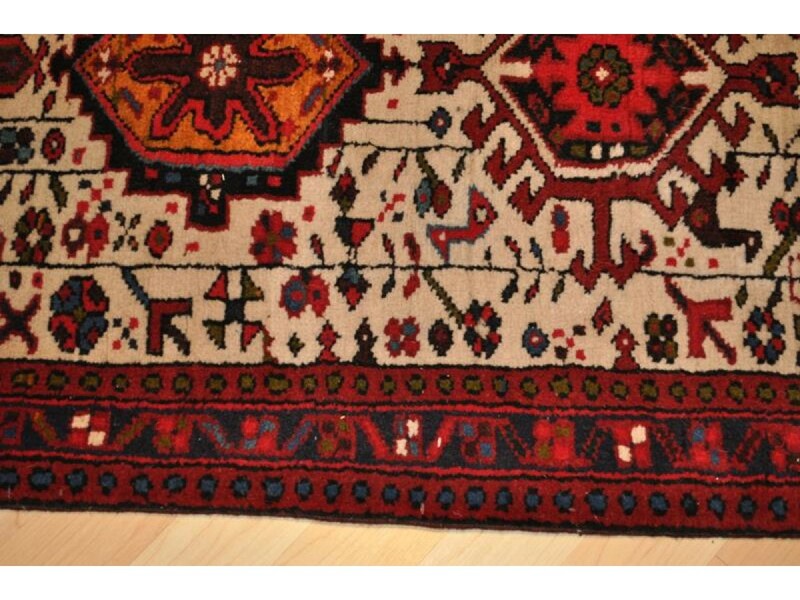 The copper makes the wool stronger and far more resilient than wool from other areas. 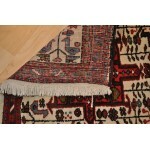 Heris rugs include rugs from the towns of Ahar, Heris, Mehraban, Sarab, Serapi, Bakhshaish, and Gorevan. 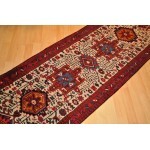 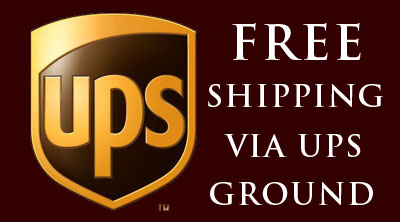 Heris rugs are of coarse construction. 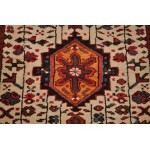 The rugs range from 30 KPSI on the low end to 100 - 110 KPSI on the high end. 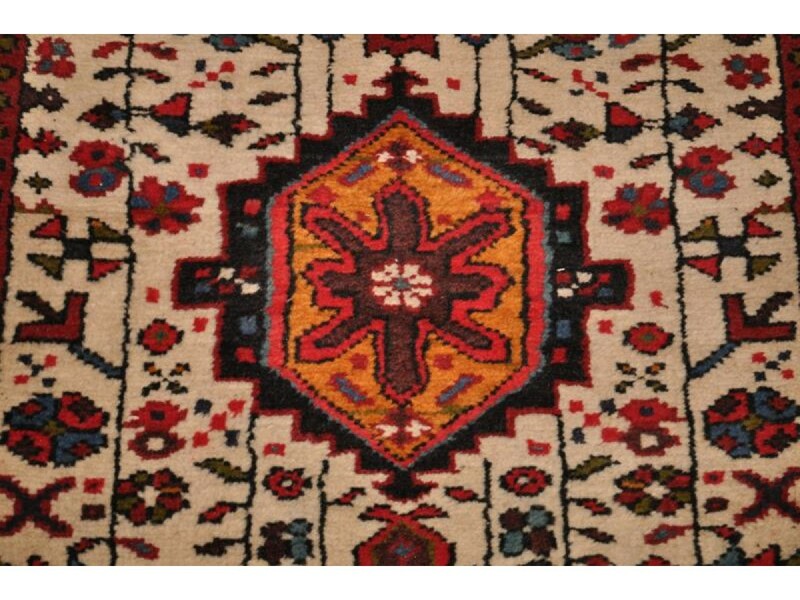 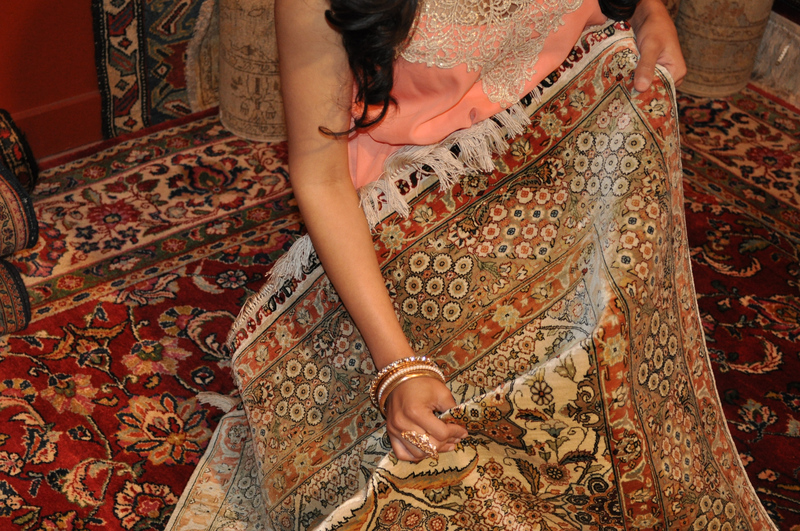 It is rare to see a rug over 100 kpsi that would look like an authentic Heris unless it is an antique silk Heriz. 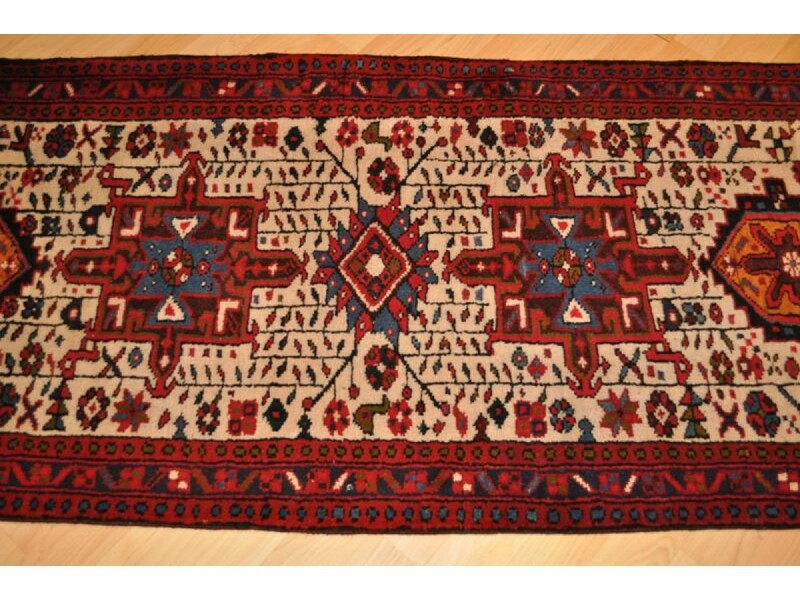 Note: almost all old and antique rugs are associated with some minor color change (abrash), previous repair, wavy shapes, possible weak materials, missing line on the borders, diverse pattern which in a way add to the beauty of these rugs. 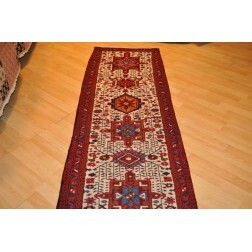 Exact Size 2'7" x 10'10"
Exact Size: 2'7" x 10'10"